BRYAN EATON/Staff photo. Mt. 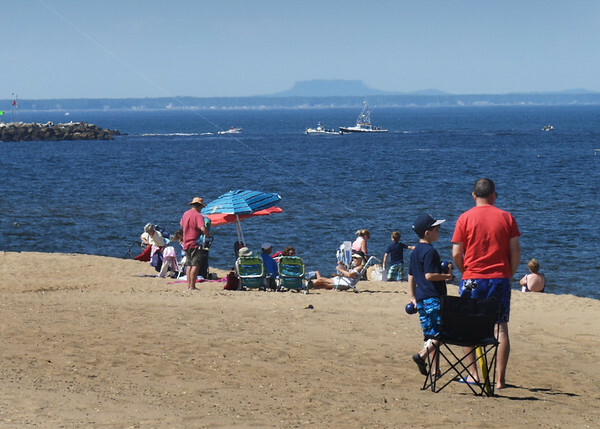 Agamenticus in southern Maine can be seen rising above beach-goers to Plum Island on Wednesday afternoon.